Dental problems are often painful, expensive, and inconvenient, to say the least. 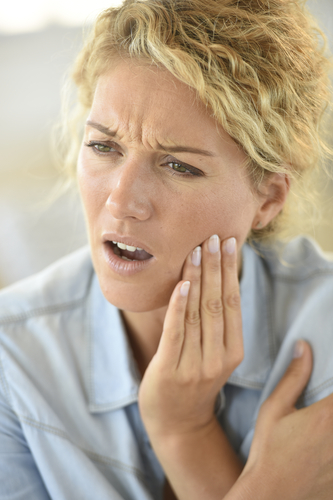 Luckily, the professionals at High Point Smile Dentistry are here to provide you with guidelines on how to handle some of the most common emergency dental issues. Serving clients in Piedmont Triad area for over 15 years, this compassionate family dentist offers dental healthcare services for everything from toothaches and cavities to abscesses and gingivitis. Rely on this family dentist when you want the most effective dental solutions. If you have a toothache and cannot immediately get to the dentist, start by rinsing out your mouth with warm water. Afterward, floss your teeth thoroughly, and apply an icepack to the affected side of your face. Make an appointment see your dentist as soon as possible. What Happens If I Break Or Lose A Tooth? In the unfortunate event that you chip or break a tooth, save the tooth fragments, and rinse your mouth with warm water. Use gauze to stop bleeding, and apply ice to reduce swelling. If you lose a tooth, save it, and soak it in milk. Your dentist should be able to repair or reinsert your tooth, provided you book an emergency appointment as soon as possible. What If Something Gets Stuck Between My Teeth? If an object manages to get stuck in your teeth, use floss to try and gently remove the obstruction. If the object will not dislodge, never use any sharp instruments to remove the blockage, as these may damage your teeth and wound your gums. If you cannot remove the object with ease, schedule an emergency appointment with your family dentist. Whether you need to correct a tooth problem or have your teeth cleaned, put your trust in High Point Smile Dentistry when you want to promote your oral hygiene and maintain a beautiful smile. Give them a call at (336) 884-4000 today to speak with a hospitable receptionist about scheduling an appointment with this family dentist, and visit them online for additional information on how to deal with toothaches, cavities, gingivitis, and more.